Austin Native Landscaping > Austin Native Landscaping Blog > High Summer in Hill Country: Upcoming Conservation Workshops, Community Presentations, and Homegrown Family Fun! High Summer in Hill Country: Upcoming Conservation Workshops, Community Presentations, and Homegrown Family Fun! Summer has officially arrived! Along with backyard barbecues, citywide celebrations, and a whole host of open-air markets showcasing some of Texas’ finest sustainable produce, you’ll find plenty of conservation celebrations, informational opportunities, community colloquia, and family-friendly festivities. Whether you would finally like to learn the fine art of curbside composting, inspire your kids to take on local stewardship opportunities, or you’re looking to get back to native roots and explore the Austin area’s homegrown culture of conservancy, you’re sure to find something to pique your interest during the midsummer months! Throughout the summer Austin area community partners and the Capital Area Master Naturalists will be hosting family-friendly Nature Nights on Thursday evenings. Have fun while learning about the unique ecology of the Texas Hill Country through interactive presentations, expert-led nature hikes, and educational activities. 250 free tickets for all auditorium presentations will be provided on a first come, first served basis, as well as free general admission for the Wildflower Center itself. On June 26 the theme will be “Wondrous Water.” Enjoy science-themed songs and stories from Lucas Miller, the “Singing Zoologist,” learn about the Central Texas rainwater cycle with the Hays County Master Naturalists, and find out just how important the Colorado River is to all residents of the Austin area–flora, fauna, and folks! Thursday, June 26, 5:00 P.M – 8:00 P.M.
An ongoing offering designed to prepare Austinites for participation in the citywide home composting rebate program. This year Austin Resource Recovery challenges eco-minded residents to downsize their trash carts by learning how to transform kitchen trash into a rich renewable resource for gardens and landscaping. Curbside customers who meet program requirements will also be eligible for substantial rebates on purchases of new home composting systems. The Sheffield Education Center hosts an original series of documentary film screenings exploring the ecological, cultural, and historical importance of the unique Barton Springs watershed area. Fed by deep underground aquifers, the springs represent one of Austin’s oldest natural recreational hotspots and are home to a wide variety of native plants and animals. Visit the springs during one of the upcoming nighttime screening events, or watch online and submit your own material for inclusion in this innovative interactive project. Sally Garret, M.S. and Amy Coward, R.N. present the latest Riverside Nature Center spotlight on naturally curative native garden herbs. Learn all about how to grow, tend, and utilize these medicinal plants right in your own backyard in a casually creative setting. Bring a sturdy pair of gloves, a garden trowel, and your favorite healthy potluck dish to share. All donations will fund Riverside Nature Center’s garden and conservation efforts. Thursday, July 17, 11:30 A.M. – 1:00 P.M. This free one-day workshop focuses on local management of vital Texas watershed resources, with a particular emphasis on the Onion and Barton Creek watersheds. Learn how you and your family can take simple steps to protect and improve our local water resources by participating in volunteer and stewardship opportunities in your area. Thursday, July 17, 1:00 P.M. – 5:00 P.M. The Riverside Nature Center and Kerrville Beautification Advisory Committee invites a panel of environmental experts to present a citizen-oriented presentation on the relationship between the Central Texas water cycle and residential water usage practices. After an introductory panel led by Mary Ellen Summerlin and Tara Bushnoe, participants can contribute to small group discussions led by local conservation experts on topics such as: rainwater harvesting 101, replacing “Bermuda lawns” with native grasses, residential drip irrigation techniques, landscaping with native plants, and how to use rocks and mulch in landscaping beds to reduce evaporative moisture loss in home gardens and lawns. Friday, July 19, 9:00 A.M. – 12:00 P.M.
Travis County Master Gardeners presents another captivating workshop focused on sustainable practices in Central Texas. This July Chris Doggett of the Williamson County Beekeepers Association shares his expertise on fostering and caring for these crucial Texan pollinators. Whether you have a modest backyard garden and one or two hives or manage an expansive commercial endeavor, this workshop will help to take the guesswork out of providing the best possible attractive environment for these diminutive honey-making helpers. Friday, July 19, 10:00 A.M. – 12:00 P.M. Sponsored by Central Texas Conservation Partnership, this workshop focuses on key Hill Country conservation issues for local landowners. In addition to learning the fundamentals of the natural history of Central Texas, topics range from watershed management and land restoration to responsible septic and water well solutions, as well as wildlife tax valuations for those with property in key conservation areas. Wednesday, July 23, 8:30 A.M. – 5:00 P.M.
As every Central Texan knows, Lady Bird Johnson made an indelible mark on the local landscape –and hugely influenced conservation and early “green” efforts across the country–thanks to a native interest in the cultivation of home-grown beauty. Those in the Austin area can celebrate her memory and her remarkable legacy at the Wildflower Center on July 27. In addition to extended hours and special family activities, come enjoy the exhibits and spectacular grounds free of charge during this special founder’s day celebration! Sunday, July 27, 9:00 A.M. – 5:00 P.M.
Next: Next post: August Conservation Activities: Riparian Restoration, Gardening Guru Guidance, and Green Family Fun! 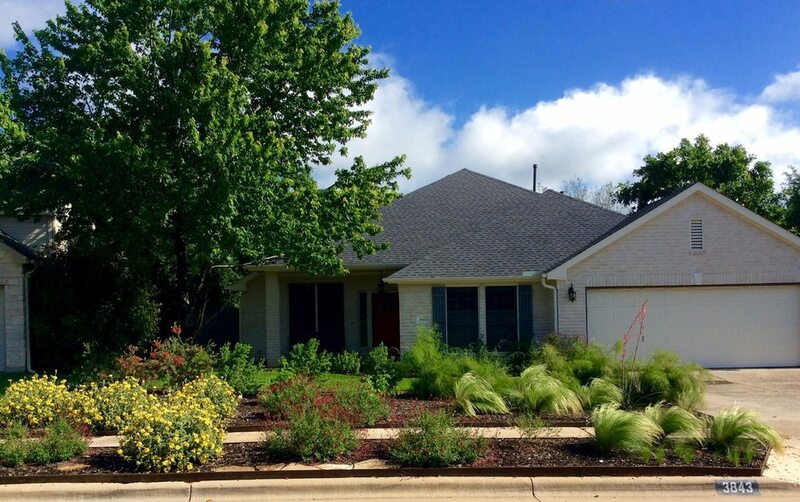 Austin Native Landscaping really helped us to achieve the ideal xeriscape for our front yard – it met our needs in terms of drought resistant and deer resistant plants, overall design and aesthetic. Following our free estimate, Reed drew up a design plan for us and he worked with us to modify it three times so we could have exactly what we wanted. Once they started working, they worked for four solid days (even in the rain) and left us with a wonderful end result. Thanks so much Reed and team! We can’t wait to watch our plants grow and blossom!